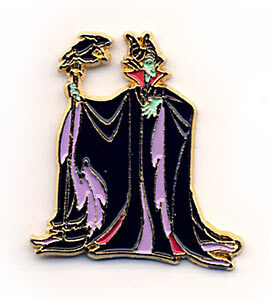 This pin is of Maleficent, with Diablo the raven, perched on a staff. It looks painted. The gold lines are raised.